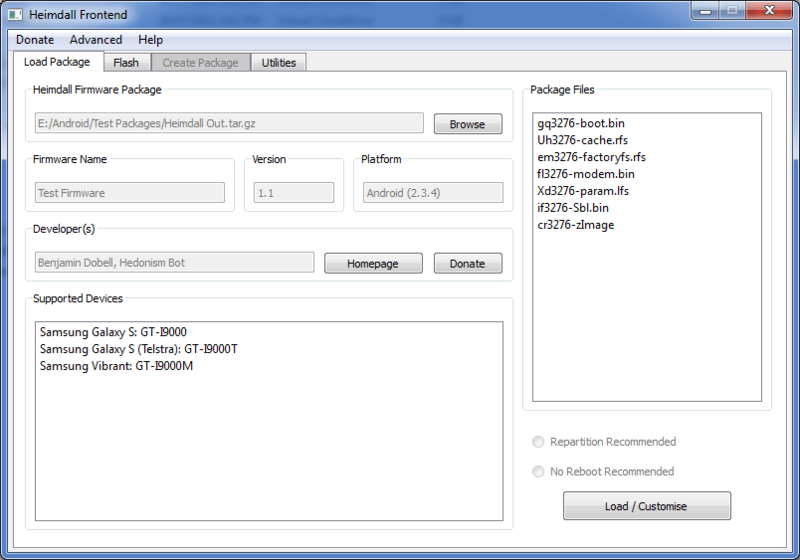 Heimdall Suite represents a veritable open-source application which helps us to flash custom ROMs or kernels on our Android-based devices. The application offers a significant advantage with its portability on Linux, Window and Mac OS X operating systems. We know numerous applications for flashing Android-based devices, but two are the most popular, the Heimdall and Odin. As you may know that the flashing process is a complex operation, and if you’ll use an unsafe method with a trusting program you can brick your device, that’s why you should use most trusted software for this kind of operations. Heimdall Suite application is especially designed to always comes with new updates and a dedicated support for multiple Android devices, the Heimdall Suite developers are working to fix any new bug and to add further improvements. That’s why we recommend always to use the latest version of Heimdall Suite in order to make your flashing process in a better and stable way. Unfortunately the Odin app is most common on the windows platform, while Heimdall Suite is supported in additional on Linux and MAC OS X PCs. So, you can use it without fear, because this software won’t damage your Android device when you want to flash new custom ROMs. Firstly, download the appropriate Heimdall application for your Operating system, (download only Heimdall Frontend or Suite for our case we will work with Windows only). Secondly, unzip the downloaded .zip file and navigate to the extracted location folder. Now, open the “Drivers” folder and browse for the program named “zadig”, this program will replace the Samsung USB Composite Device driver ( (Download mode driver) with WinUSB (libusb 1.0). Keep in mind that this driver will only replace the driver for one USB port, that’s means if you have four usb ports, the one USB port that will be used with heimdall program (download mode only) will be replaced with a new driver compatible with the application. In the same time three ports will continue to work with OdinOneClick/Odin3 only. Next, restart your Android based device into Download Mode and run zadig as administrator. Connect your smartphone with to the PC. From the menu bar ( Device, options, Help) you need go to Click Options –> List All Devices. Now, select under USB Device select “Samsung USB Composite Device”. Install the Driver, only click Install Driver. Note: If you’ll receive a pop-up about “not being able to verify the publisher” all that you need to do is to click “install anyways”. Once the “zadig” file is completely installed you can close the same and disconnect your Android device by disconnecting the USB cord. Alternatively you can read the “readme” file that the support team of Heimdall adds. I hope you will enjoy with this application, let us know if you have any problems with Heimdall Suite using our comments section.